If you are looking for an easy one hour DIY project, this one is cheap and easy to build yourself. It is a new principal based upon an old one. 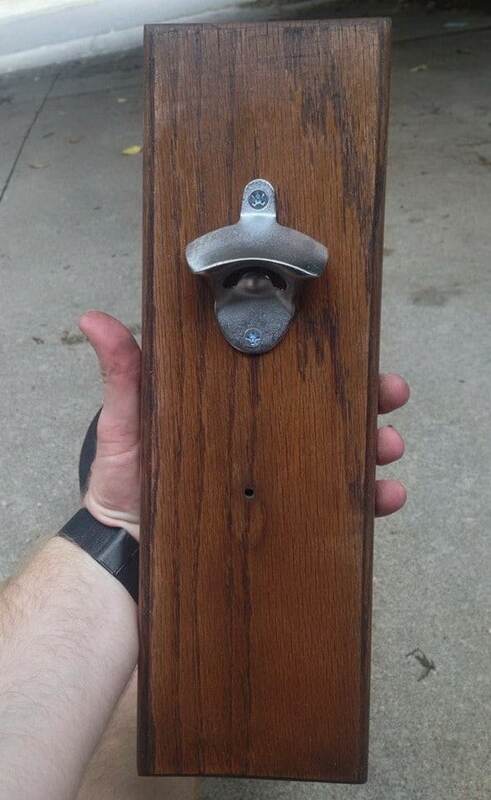 A bottle opener mounted on a wooden board that has strong magnets hidden under the opener that catches the metal tops as you open a bottle. You will need 1 wooden board, 1 metal bottle opener, a 20 pack of Rare Earth Neodymium Magnets, wood screws, a tube of silicone and wood stain. 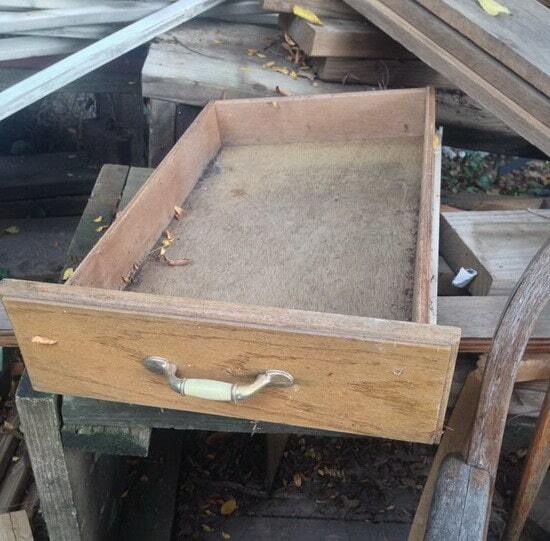 Instead of buying a piece of wood we used an old cabinet drawers face plate. We removed the handle and cleaned it off. 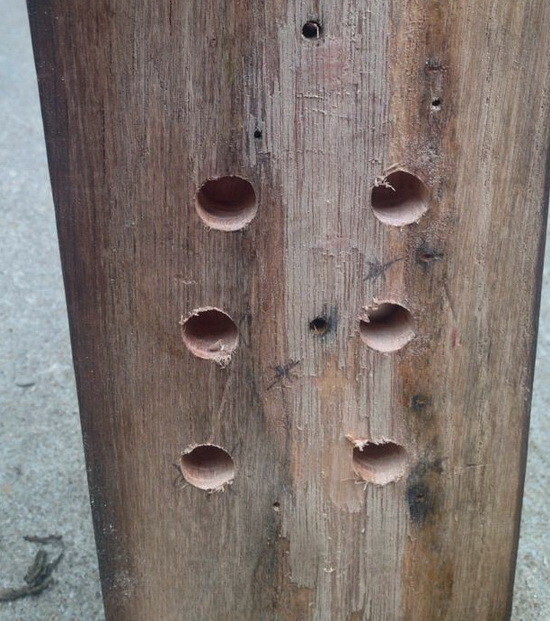 We then drilled 6 holes in the back of the wood approx. 4 inches under where the bottle opener will be attached. We put 2 magnets in each hole for a total of 12 magnets. We then added silicone to hold the magnets in place. The above photo are the magnets we used. They are extra strong magnets and are a little smaller than a dime. 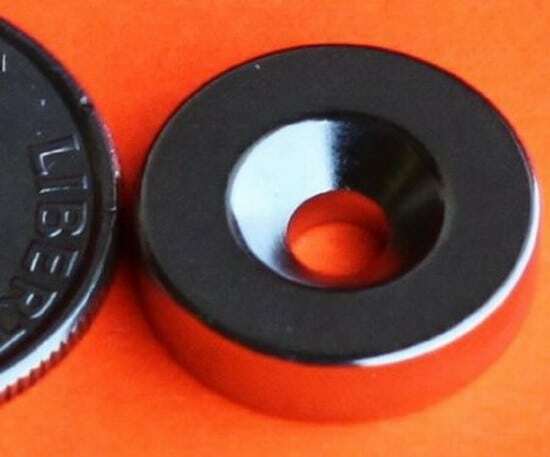 These are Rare Earth Neodymium Magnets and they tend to work the best. Available here for around $13 dollars. 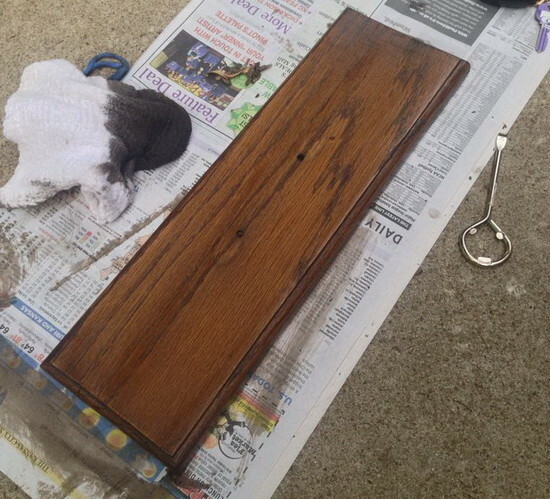 Next step is to make sure the wood is very clean and add some wood stain to the board. 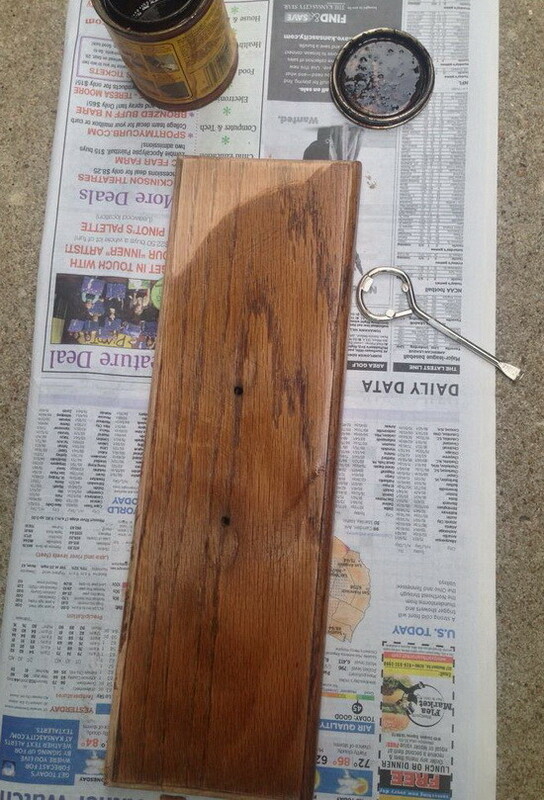 Here is the board wood stained with 3 coats and letting it alone to fully dry before the next step. 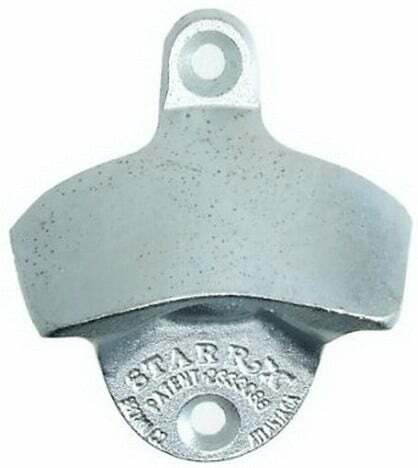 This is the metal bottle opener that can be purchased here for around $7.50 on Amazon. 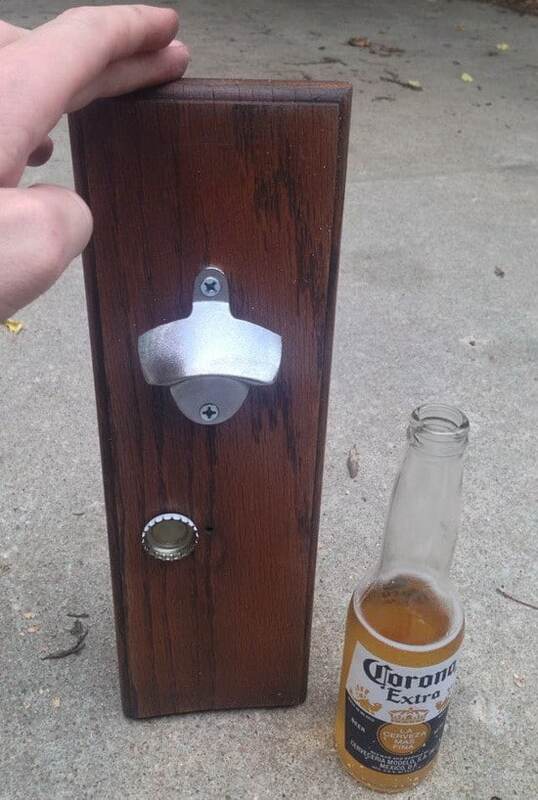 Next, attach the metal bottle opener to the piece of wood with 2 wood screws. If assembled correctly, the bottle caps should stick to the wood when a bottle is opened. If you have issues with the bottle caps not sticking properly, you can add more magnets to the back.